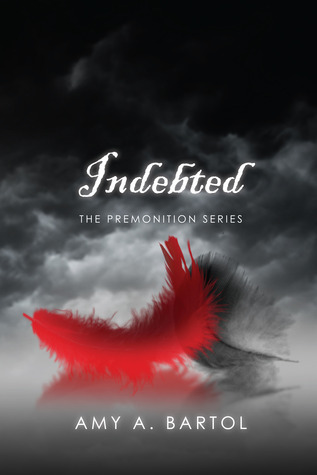 This week's swoon comes from the third book in the Premonition Series by Amy A. Bartol, Indebted. I finished reading Indebted about a week ago and, although I've been reading other books, I just needed to share this swoon with you guys today! When his lips slip to my neck, I ask, "What did your wings say just now?" "They said, 'I love you, Evie. Just you...only you," he answers me in a soft tone. "They said what?" I ask, feeling completely happy in this moment as a warm glow rushes through me. "Yes," he replies with a heated smile, his voice holding a note of humor at my reaction to his words. "I'll have to learn their language, too," I reply as my t-shirt slips a little further down. "I love you, too, Reed," I whisper, frowning. "I wish..." I trail off as the scruff from his chin grazes my sensitive skin. I exhale, my eyes becoming hooded as I watch him kiss me. "You wish?" he murmurs as his hands slip lower on my body. "I wish I had other words... 'I love you' is so inadequate to describe what I feel for you," I whisper. Instantly, Reed picks me up off the sand and holds me securely to his chest. He begins striding purposely towards the bungalow with me in his arms. 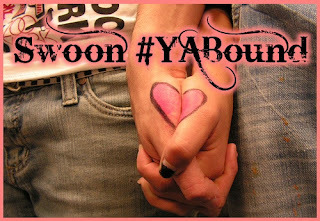 ....And it was at this point that I may have fainted from swoon-overdose ! I just found out that I will be participating in the Incendiary (Premonition Series #4) Blog Tour in January *Squeals* so I'll be posting my reviews for the first three books in the series sometime before then! Keep Reading!